Hunger is becoming ubiquitous in Mexico during the War of the Generals, as are beggars and desperate women and wagons collecting the bodies of the dead for burial in mass graves. 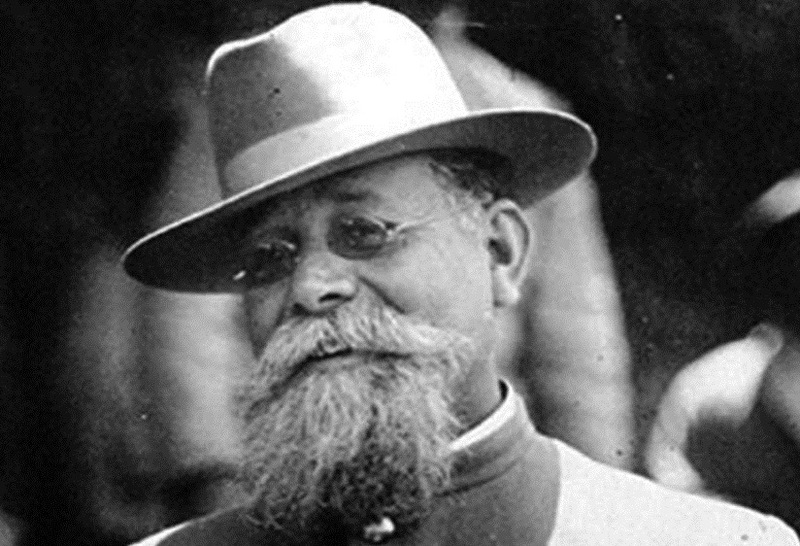 The brief reign of Pancho Villa and Emiliano Zapata over Mexico City left the capital in such dire straits that General Álvaro Obregón greatly improved the Carranza government’s image with relief stations. As a result of the bloody civil war, roads and rails are in dire shape wherever they are still running, and the normal flow of food into the nation’s capital has been thoroughly disrupted. Malnourishment and disease rates skyrocket. 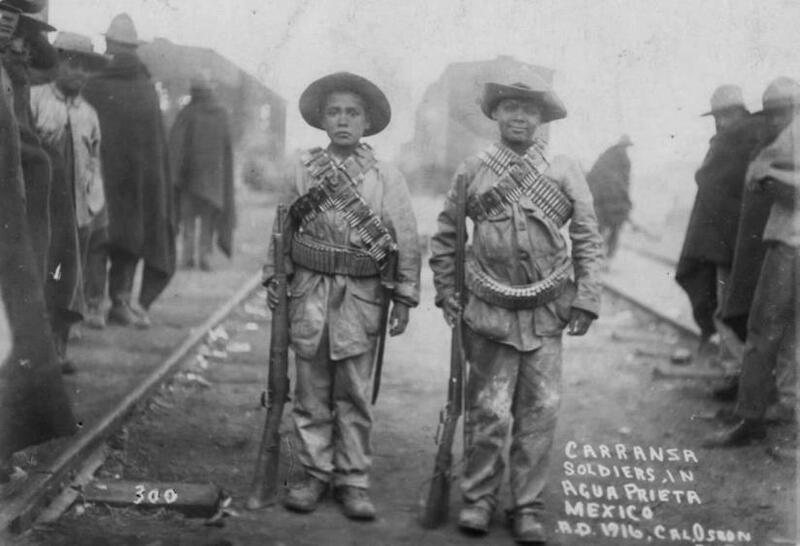 With more than twenty-five thousand deaths — roughly five percent of the city’s population — mortality rates in Mexico City have never exceeded the year 1915, but armies are still spreading death and famine across the land, while rival sides use economic weapons that make trade impossible. After a series of droughts and shortages makes things even worse over the next two years, 1917 will be remembered as the Year of Hunger. 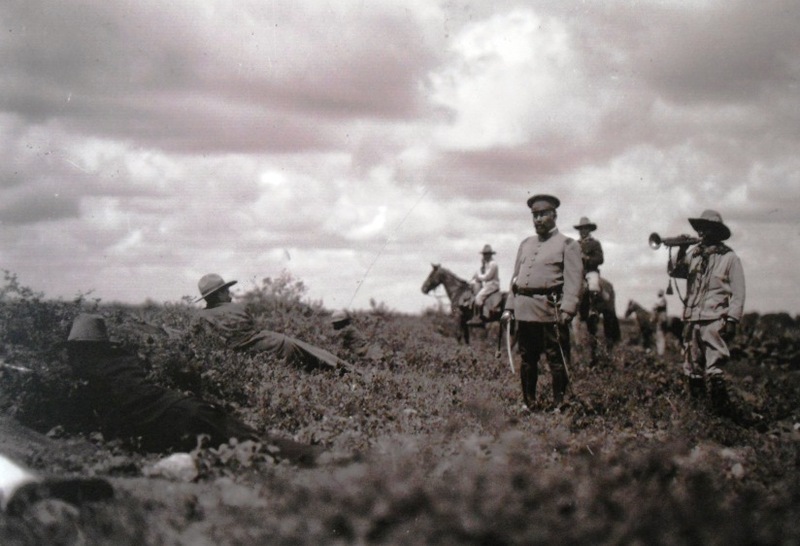 Thus Mexico is just like any other theater of conflict a century ago, whether in military terms or the effects on civilian populations, which makes it a relevant topic for a diary of the Great War. For although Mexico is far from Europe, the age of mass fire is the same everywhere, even as geography and local conditions and societies may vary. 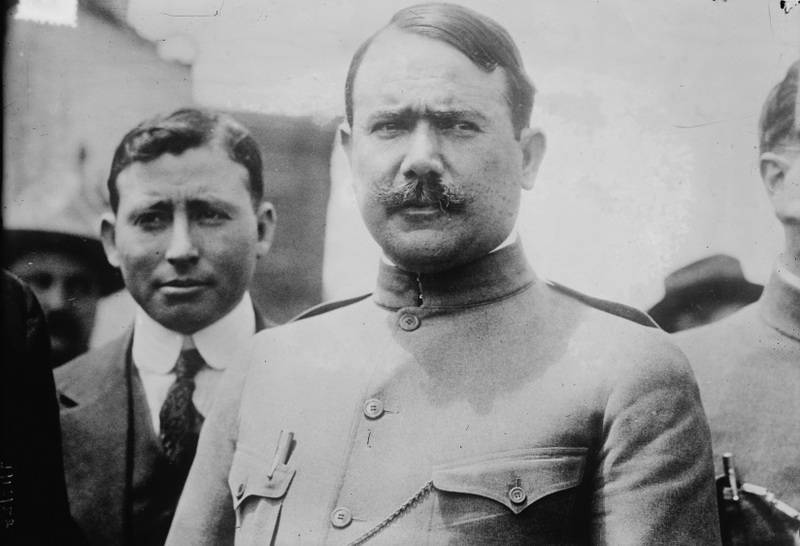 Furthermore, the War of the Generals is happening right on the doorstep of the United States, which supplies much of the munitions and war material being used by the Entente allies, so cross-border raids and violence are inspiring worries that German covert agents in Mexico are trying to expand the European war to North America. Not that Mexico is a serious threat to the Americans — the Carranza government putting children in uniform is proof of how desperate matters are south of the border — but Berlin would love nothing more than to see Washington diverted from helping Paris and London, and the Kaiser cares nothing for the lives of Mexicans. 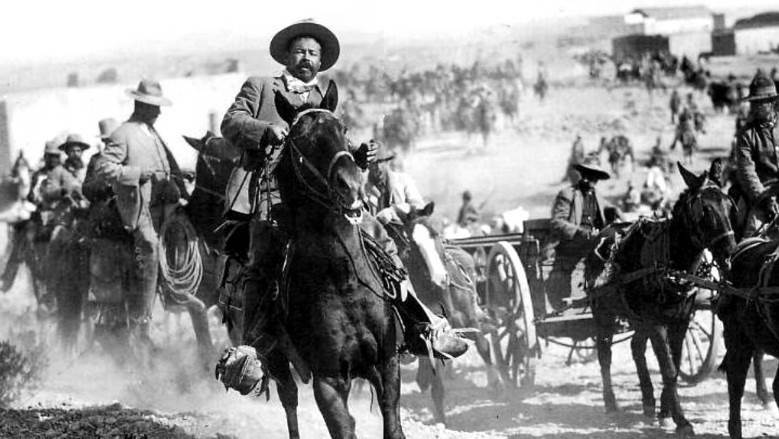 Much reduced by his battlefield losses to Obregón this year, Francisco ‘Pancho’ Villa has fallen back on his home state of Chihuahua, a territory which borders the United States from the Big Bend of the Rio Grande in Texas to Arizona. There, he has resorted to seizing food and supplies from those who have stayed out of the war thus far, inspiring resentment among the population that has supported him most. Choosing to cross the Western Sierra Madre during October, he only learned two days ago that the American government had given his rivals diplomatic recognition as the legitimate government of Mexico twelve days before. Furious at the news, he remains ignorant that the garrison at Agua Prieta has been more than doubled by reinforcements deployed via American railroads through Douglas, the Arizona town across the border. Largely repeating the mistakes which led to his previous defeats, Villa opened his attack yesterday afternoon with an artillery bombardment that was nowhere near as powerful or concentrated or effective as those on the Western Front, after which his troops made several diversionary approaches in the dark to try confusing the defenders, setting off the occasional land mine. But as his main attack begins at midnight, brilliant searchlights suddenly illuminate the cavalry assault, which is quickly decimated by machine gun fire. Commanding the garrison, future President of Mexico Plutarco Elías Calles has tried to improve on the tactics which worked against Villa before, even electrifying his barbed wire defenses, and so the battle is over before dawn. Headstrong as always, Villa wants to reinforce his failures like he has in previous battles, but his troops are not the sort of disciplined Europeans who obey insensible orders. Sensing that his control of the División del Norte is threatening to slip away under fire, Villa withdraws and rides for the border town of Naco in search of resupply, yet within a week there are hundreds of desertions from his ranks. No longer as strong as it was even a few months ago, his army is disintegrating right along with his public reputation for invincibility. 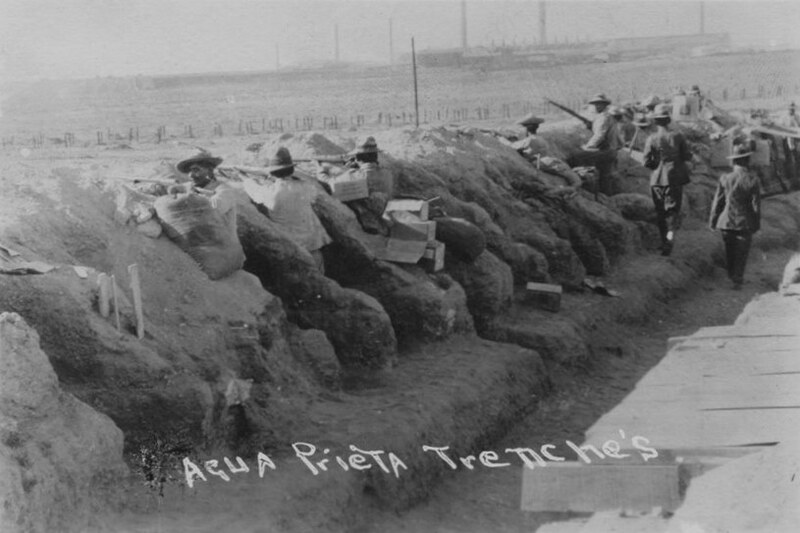 Convinced that the US Army took part in the defense of Agua Prieta, Villa becomes fixated on revenge in the weeks to come, for until now he had believed he enjoyed American support in the War of the Generals. A spiral of declining command now begins. Seeking to satisfy his men with pillage and rapine, Villa loosens his grip on them, further eroding his popularity as civilians suffer depredations. The more desperate Villa gets to be, the less disciplined and responsive his army becomes, and the former peasants who joined him for promises of land no longer believe he can fulfill the bargain. Resorting to conscription to fill out his ranks, Villa’s carefully-cultivated ‘Robin Hood’ image gives way to the reality of an authoritarian warlord.